يقع Rothvale Vineyard Cottages في Rothbury, هانتر فالى, هو خيار شائع بين المسافرين. يمكن من هنا للضيوف الاستمتاع بسهولة الوصول إلى كل ما تقدمه هذه المدينة النابضة بالحياة. إن سهولة الوصول من الفندق إلى المعالم السياحية الشهيرة الكثيرة في المدينة كمثل The Vintage Golf Club, Bimbadgen Winery, Hunter Valley Horse Riding & Adventures هو استثنائي بحد ذاته. إن الخدمات التي يقدمها Rothvale Vineyard Cottages تضمن للنزلاء إقامة مريحة. يمكن للنزلاء الاستمتاع بالميزات التالية: تسجيل وصول/خروج سريع, تخزين الأمتعة, صف السيارات, غرفة عائلية, مرافق للشواء أثناء إقامتهم في هذا المكان الرائع. استمتع بوسائل الراحة الراقية في الغرف أثناء إقامتك هنا. بعض الغرف تتضمن غرف لغير المدخنين, مكيف هواء, تدفئة, شرفة/ تراس, تلفزيون لمساعدتك على استعادة طاقتك بعد يوم طويل. سواء كنت من محبي الرياضة أو كنت تتطلع لتفريغ عناء نهار صعب، ستجد خدمات ذات مستوى عالي بانتظارك كمثل حمام سباحة خارجي, حديقة. مهما كانت أسبابك لزيارة هانتر فالى، فإن Rothvale Vineyard Cottages هو الخيار الأفضل لإقامة مثيرة وممتعة. What a great place to stay for a group of girlfriends or couples to stay at. The hosts had the fridge stocked with essentials and plenty of firewood chopped for us. 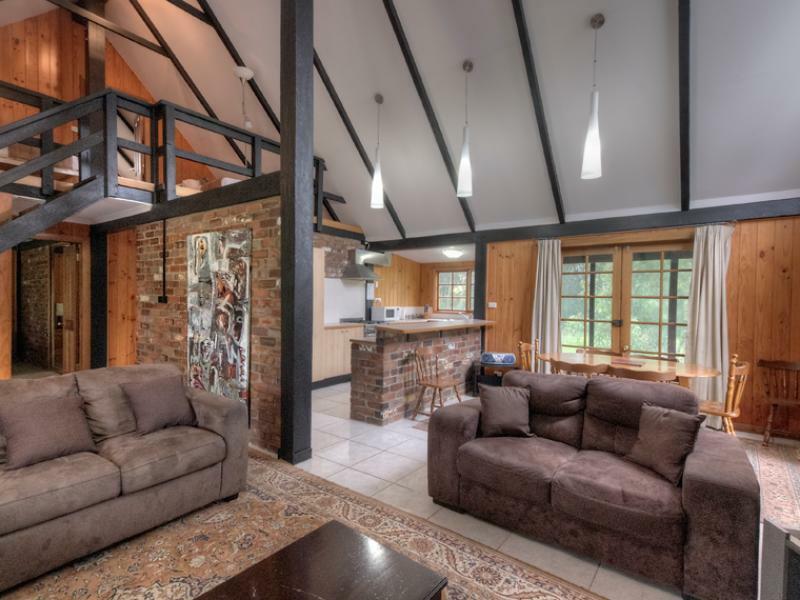 Would highly recommend this cottage to any group or family coming to the Hunter Valley for the weekend. The only downside was we didn’t have time to do a wine tasting at Rothvale Vineyard, maybe next time we stay. We stayed in the 1 Bedroom Cottage which was relatively cheap when compared to other places. 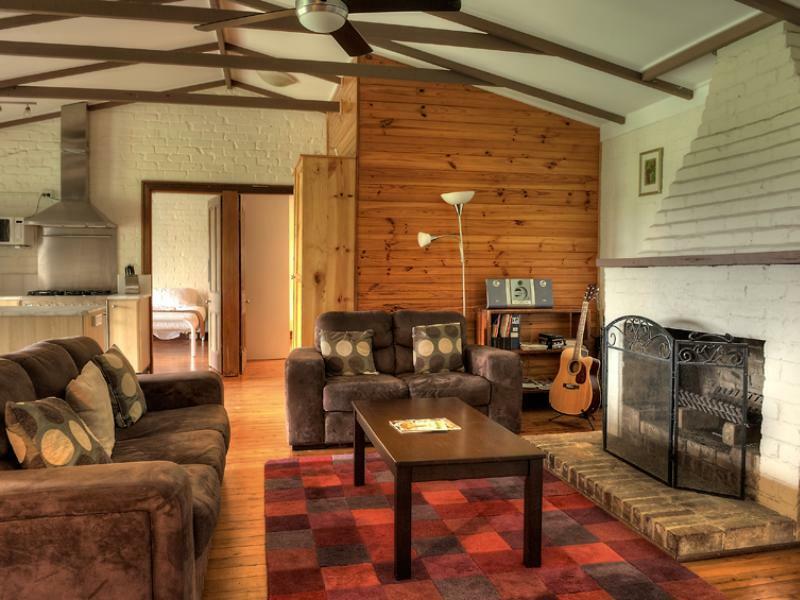 The accommodation is simple but spacious and the combustion fireplace was an excellent bonus, we also received a complimentary bottle of Rothvale Shiraz... which was a very tasty treat!! It's located only 5 minutes drive from Bimbadgen Estate... perfect if seeing a concert there. Luke, the owner, is a lovely, friendly, down to earth guy who's more than happy to help you with any inquiries or advice. And the 20-30 kangaroos that casually graze in the back paddock really helped create that idyllic rustic outback setting! We stayed in cottage one which had 2 king beds, nice enough inside. Rain water tanks supplied the house which had a terrible foul smell like some animal died in it. Wasn't game to drink the water and having a shower made you dry retch. The fridge wasnt cold yet the freezer worked. 1 tiny box aircon would not cool the place. Rang the owner who wasn't on site and he said the water was probably algae inside the tank activated by the hot weather. Not good at all yet he offered no appology. A small cheese platter was nice yet IGA bought. You would think some local produce would be nicer. The bottle of wine was very nice though. The pool was green and under renovations when we stayed and with temp in high 30's was disappointing. Looked to have been that way for some time. Overall appearance is owners don't care and lacks maintenance. Would not recommend staying here. Lovely comfortable and private 1 bedroom cottage. Lovely soft linen. Loved to wood heater, continental breakfast provided, along with a selection of cheese and Estate bottle of wine. So wonderful to wake up to the sound of ... nothing. Just the kangas quietly munching just outside. We will be back! We booked a three bedroom cabin as there were six of us. The cabin was clean, spacious and very comfortable. We had a mishap with a water supply late Friday evening but it was fixed quickly by management the following morning. Staff were wonderful, very friendly, very helpful. The surroundings are beautiful, atmosphere is fantastic, very peaceful and relaxing yet civilisation is still so close by if you want it! Convenient accommodation near the wedding venue we were attending. 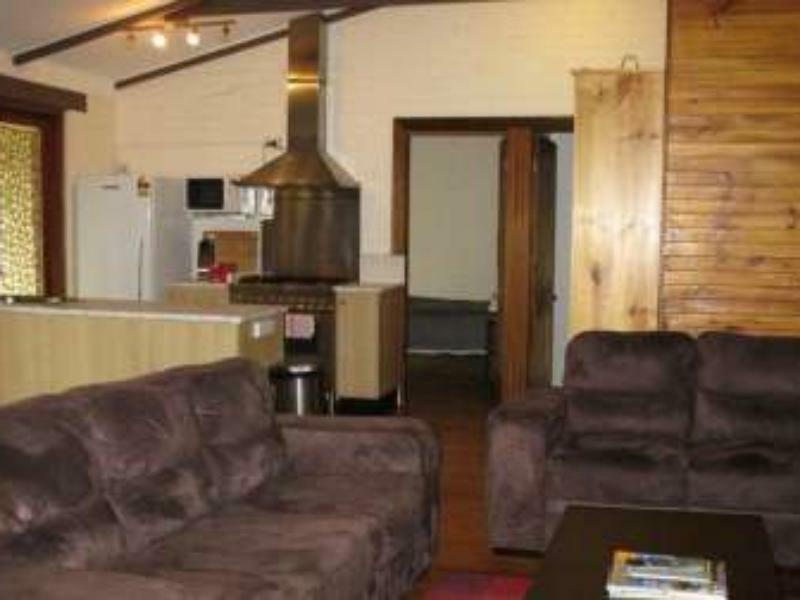 Clean and good facilities, with a lovely view over the paddocks watching the kangaroos in the morning or late evening. It was a lovely surprise having some food supplied on our arrival. I only put value for money as satisfactory because I think living is too 'expensive'!!!! We were upgraded from cottage 1 to cottage 2 - 2 bedroom. French door in dining area nearly fell of door jamb when opened, spiders and webs in bathroom, stereo did not work, not sure if exhaust fan in bathroom but if so fan did not work. Better lighting required for out door area where car is parked as at night very dark with limited light from other outdoor lighting. Loved staying in this cosy little cottage. Great location central to the Hunter Valley and Max's Cab Sav is delightful. Would stay here again. Lovely setting, close to great wineries, ambience with the open fire and cheese platter that was supplied. A geat weekend! great place to stay for groups very large dining kitchen areas not far from all the hunters attractions during the stay. will be back. Great location to A Day on the Green, well appointed and a nice surprise in the fridge after my long drive. Had a fantastic time in the Hunter Valley, cottage in a great, peaceful location, beautiful views, handy to all local attractions. Will recommend to friends and will stay there again. We were disappointed as we thought it would be a bit more upmarket, cabin 1 looked as though it was about to be demolished or vastly improved, All windows were full of dust and insects and some of the curtains fell of the rail everytime you touched them. Staff were nice. but as a vineyard cabin it failed. I had lovely relaxed stay with extras provided on arrival (wine, cheese, bread, milk, cereal, juice) that made it more special and was much appreciated. Max, the host, was extremely knowledgable & friendly. Will definitely return again.